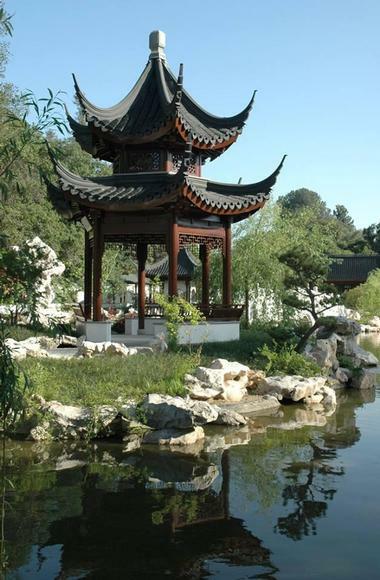 The Huntington Library, Art Collections and Botanical Gardens in California is a private, nonprofit cultural, research, and educational center that was founded by Henry E. Huntington in 1919. 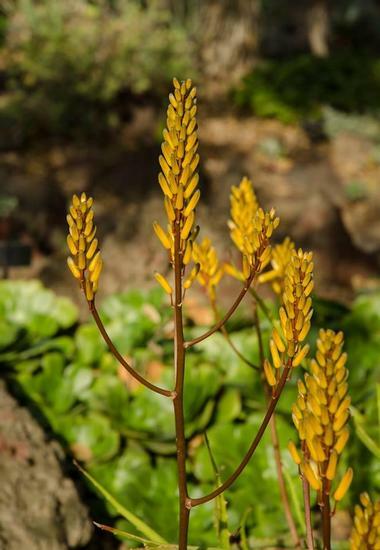 The distinct sections of The Huntington, the library, art collection, and botanical garden, resemble Mr. Huntington’s fascination and passion for research, education, and beauty. Born in 1850 in New York, Henry E. Huntington worked for the Central Pacific Railroad, which was owned by his uncle Collis P. Huntington. After working for his uncle for twenty years, his uncle ushered him to San Francisco, so Henry could manage the Southern Pacific Railroad. While traveling to San Francisco, CA, Henry came across the J. DeBarth Shorb estate, which is also known as San Marino. Although Henry purchased this later in life, this is the current location of Henry’s collections. After working for many years, and becoming an extremely successful railroad operator, Henry retired at the age of 60. He relocated to his 600-acre ranch, and devoted his life to his passion for books, art, and landscaping. Henry even worked alongside the architect Myron Hunt to create the Beaux Arts mansion, which is now known as the Huntington Art Gallery. Shortly after Henry’s retirement, he married his uncle’s widow, Arabella Duval Huntington. Arabella shared the same interests as Henry, and was known as one of the most influential and important art collectors of the time. After spending nearly ten years creating a vast collection of books and art, as well as designing beautiful gardens, Henry and Arabella officially made it so their San Marino estate was in the hands of a nonprofit and educational trust. Thus, creating The Huntington. Shortly after signing off on the transfer of their collections, Henry and Arabella died within three years of each other. They are buried in the mausoleum of The Huntington. Like previously stated. The Huntington is home to three distinct sections; the library, art collections, and botanical gardens. Thus, visiting The Huntington is a truly significant educational and cultural experience. The Huntington Library is home to over nine million items of British and American history and literature, which means this library is among the largest in the world. These pieces of history and literature include rare books, manuscripts, and prints. The oldest pieces date back all the way to the Middle Ages, and majority of the collection is focused on history, travel literature, science and medicine. 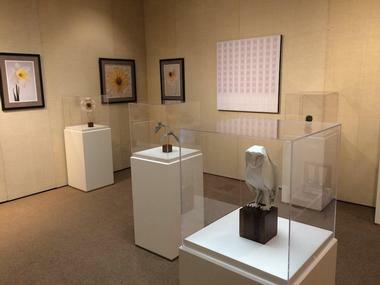 The collection is displayed in tiny increments, and is divided throughout the Main Exhibition Hall and the West Hall. But, there are permanent exhibitions. These are “Remarkable Works, Remarkable Times”, which includes more than 150 pieces of tales and stories, and “Beautiful Science: Ideas that Changed the World”, which highlights the greatest science achievements throughout time. The art collection at The Huntington includes 650 paintings and 440 works of sculpture that date back from the 15th century all the way to the 20th century. The art collections are spread across The Huntington Art Gallery building and the Virginia Steele Scott Galleries of American Art building. European Art Collection-This art collection is home to some of the most distinguished pieces of art from 18th and 19th century Europe. Among the popular artwork are intricate tapestries, glistening porcelain, and Renaissance furniture that Arabella Huntington had acquired. American Art Collection- This collection of American works is displayed in the Virginia Steele Scott Galleries of American Art, and features important and influential paintings that date back to the 1690s. In the same building as the American art, you can find a section devoted to Charles and Henry Greene, who were Pasadena architects of the early 20th century. This collection includes the Henry M. Robinson House dining room recreation and the Libby House staircase, which was demolished in 1968 and resembled in recent years. Finally, The Huntington’s Prints and Drawings collection highlights some of the most influential and critical artists throughout the ages. This collection specifically highlights William Blake’s watercolors, Rembrandt and Albrecht Durer prints, John Sloan’s paper art, and Edward Weston’s magnificent photographs. The Botanical Gardens are home to 12 distinct gardens and approximately 15,000 plant varieties that is spread across 120 acres. The first impression that visitors have of The Huntington is usually the Frances and Sidney Brody California Garden. 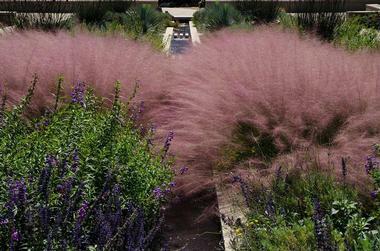 This garden resembles a quintessential California garden, as it has approximately 50,000 native California plants. Covering approximately 6.5 acres of land, the Frances and Sidney Brody California Garden is the perfect reflection of the agricultural and Mediterranean elegance of the estate. One of the most popular gardens of The Huntington is the Desert Garden. With over 5,000 species of desert plants and various types of landscaped beds, the Desert Garden is one of the biggest and most renowned outdoor cacti and succulents gardens in the whole world. Another iconic garden at The Huntington is the Japanese Garden, which includes an integration of architecture with botany. A drum bridge and a Japanese house were built in the middle of the popular Japanese plants to create the illusion that visitors are in Japan. Finally, the Rose Garden and the Camellia Garden are home to over 1,400 cultivars, which ranks among the most intricate and abundant collections in the world. Sculpture Garden- Huntington himself picked out and placed each of the sculptures that adorn the garden. Some of the pieces were moved multiple times before Huntington believed they portrayed the right story for views. Love tends to be the central theme of these sculptures that are mostly from the 17th and 18th century Europe. Since Henry and Arabella Huntington had a strong love and passion for education, it shouldn’t be a surprise that The Huntington has an abundant of educational opportunities. The Huntington ensures that there are educational opportunities from everyone, no matter how old they are. Over 20,000 school children get the chance to visit The Huntington annually. This is made possible by school visits and hands-on activities, which immerse children in the historical and cultural significance of The Huntington. 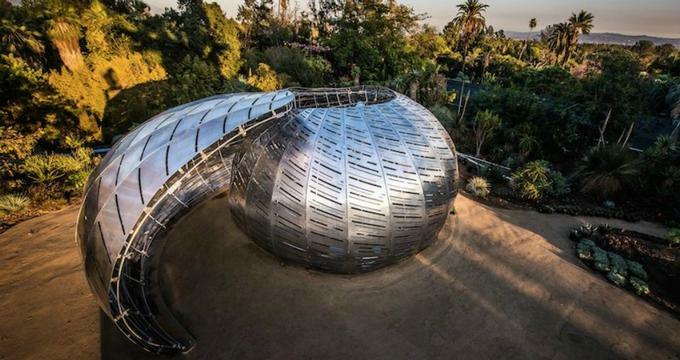 The Huntington even has created a program, dubbed the Bus Fund, which encourages people to donate money so that schools in California have the opportunity to visit The Huntington when they can’t afford it. There is also an option for children to explore The Huntington during the summer. The Huntington Explorers is a summer day camp that caters to children aged 5 to 12. The program runs from 9 am to 4 pm each day, and focuses on different collections and sections of The Huntington each week. The Huntington also has educational opportunities for people other than children. Huntington U Seminars are college-level seminars that are taught by renowned professors from the highest ranking universities. Although the courses follow a similar structure to a typical college course, as there are lectures and discussions, there is no stress of writing papers or taking a final test. The educational opportunities at The Huntington don’t stop for students and prior students. The Huntington actively works to ensure that teachers are equipped with the right tools and knowledge to teach our communities. There are a dozen programs that focus on both the state and local education standards, and how educators can effectively implement them. Specifically, The Huntington helps teachers express, demonstrate, and teach Common Core. With the active collaboration with teachers, The Huntington has created over 75 lesson plans that are accessible to teachers and schools nationwide. Finally, each year The Huntington houses activities that include lectures from the world’s most renowned scholars, which over 500 educators attend and participate in. Since The Huntington is home to over 35 indoor and outdoor venues that are spread across an enormous amount of 200 acres of land, it is an extremely attractive and desirable location for special events. Every sized event, from 10 to 1,000, can be housed at The Huntington. Pricing differs among the type of event, size of event, and venue. But, The Huntington has in-house professional event planners that are meant to provide you with any sort of assistance possible. Everything from planning, location scouting, design, catering, and executing the event itself can be made easier with The Huntington special event planners. 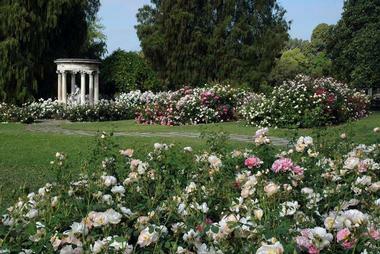 The Huntington also offers a variety of tours including; specialty, group, tea and tour, audio, and free garden tours. The tea and tour option gives visitors an exclusive and unique experience at The Huntington. The tour starts off with a 90 minute walk throughout the magnificent botanical gardens. After touring the various flora and fauna, visitors relax in the Rose Garden Tea Room, where a variety of tea and treats are served. It’s important to note that in order to do the tea and tour option, as well as any of the other specialized tour, you need to make a tour reservation at least one month in advanced. 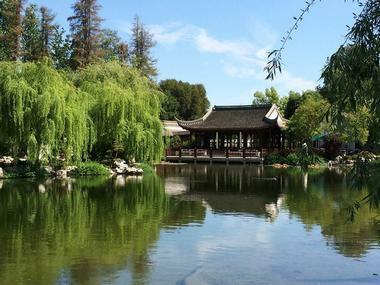 Throughout the year The Huntington provides visitors with various special events, such as one-time workshops, guest speakers, and new collections in The Huntington Library. Some events are exclusive to members, so if you have fallen in love with The Huntington, and plan to visit there frequently, obtaining a membership is a good idea. Since events are consistently being changed and added, you should check out the event calendar on The Huntington website prior to visiting.